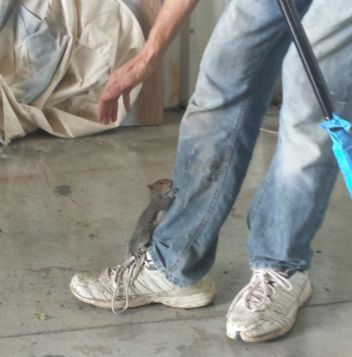 It’s not every day you see a squirrel wander into an auto body shop! 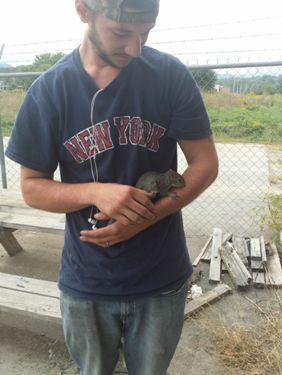 Thanks to the TimeHop app, I was recently reminded of our little squirrel buddy who showed up at the shop about a year ago. So in honor of #throwbackthursday (we’re not much for the #hashtags, but we’re trying), I thought I’d post about our lil friend. 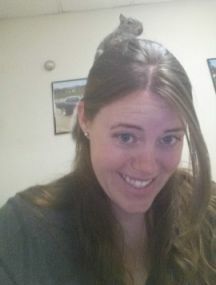 An employee at the time, Darryl, was sweeping up the shop, when all of a sudden I hear him yelling about something and telling me to come look. I ran out of the office and saw that a squirrel had run up his leg and was clinging to his jeans. I snapped a quick picture, thinking the squirrel would for sure run off. 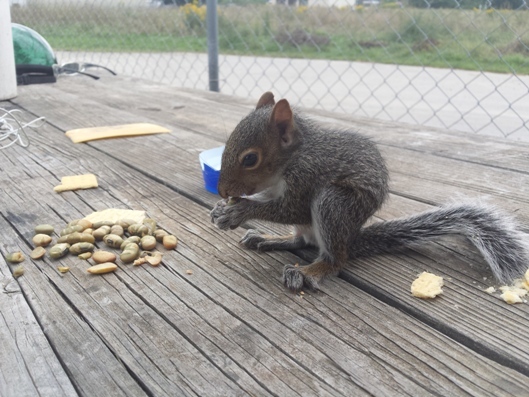 Instead, he stuck around, so we took him outside on the picnic table and fed him some nuts Darryl had in his car. He grabbed a handful and started eating. Have you ever seen a squirrel nibble on a nut? It’s adorable. I cautiously petted him at first, but he was so friendly, and let me pick him right up. And then proceeded to run up my arm and sit on my shoulder. By this time, Tim had come back from running an errand and played with him too. After awhile, we left our little squirrel friend on the picnic table and headed back in to get some work done. We thought he’d just wander away, but he sat on the edge of the table making little noises at us. (What is the sound that a squirrel makes called?) Anyway, he didn’t want us to leave him! He’d squeak (?) at us every time we walked away. So, naturally, as he had become my cute little friend at this point, I took him into the office with me. First I had him on the desk, but he got bored and crawled up my back (as you can see in the pic), until he got tired and curled up in my lap. He just wrapped his tail around his face, and feel asleep. For awhile. Whenever I would move his tail (to take a picture or just to play), he would swat my hand away and put it back over his face, like, “Leave me alone, I’m sleeping!” It was The. Cutest. Thing. He just curled right up on my lap! 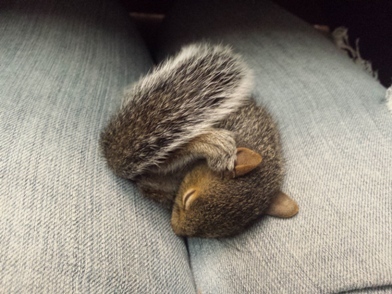 I Googled having a squirrel pet, but most sources said they get aggressive when they get older and basically destroy your house and can’t be trained at all. Sad. I so could have kept him. We didn’t want to leave him alone though, in case he had lost his mama and wasn’t used to the big, scary world out there, so Tim took him to the Nature Center so they could release him in the woods. Much ado about a squirrel maybe, but we felt better. 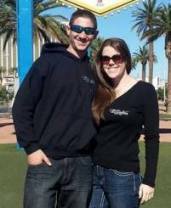 And it was really fun having him hang with us for the day! No Replies to "Throwback to that day the shop had a squirrel"